Not much to add…it just gets more sad and more shameful by the day. We must hope that Congress will come to its senses and do quickly what should have already happened. Every day this egotistical liar stays in office is another day too long. His time in office will be recorded as one of the most shameful periods in United States history. 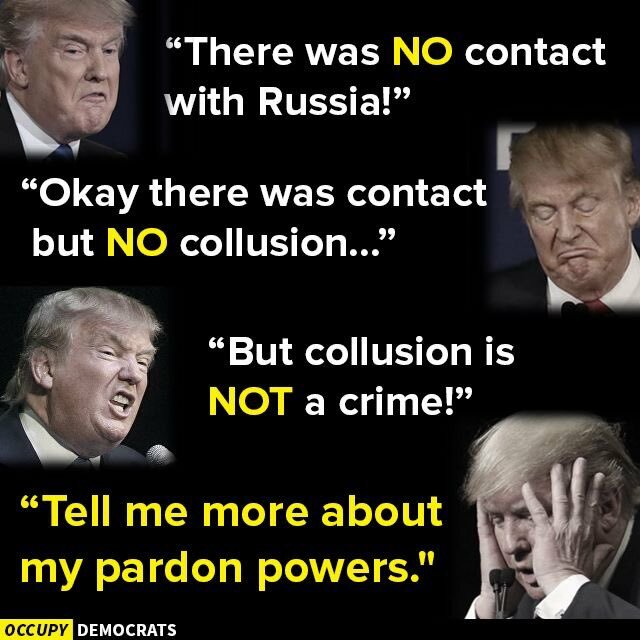 This entry was posted in Facts & Statistics, News & Views, Quotes and tagged BLOTUS, collusion, Congress, contact, crime, history, impeachment, liar, Liar-In-Chief, pardons, prosecution, Russia, shame on July 24, 2017 by Ray Buchanan.